Scisnack | My weather app shows rain at a sunny day!? Sometimes we hear people saying: “It’s the little things that matter most”. Indeed, only think about when you watched a beautiful sunset the last time or laughed until your stomach hurt, saw your friends happy or cooked something nice, went to the cinema or watched the clouds… Things we often take for granted and forget easily. In meteorology, we often forget that hundreds of thousands of small instruments produce the input for our weather models. These generate our daily weather forecasts and warn people about extreme weather events such as droughts, hurricanes or intense rainfall. 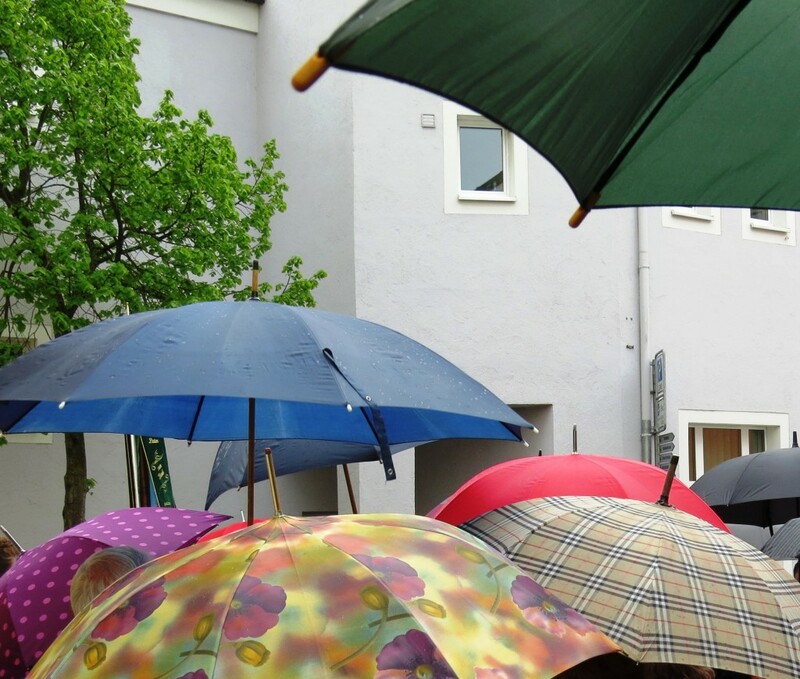 At more than 200 days a year, people living in Bergen, Norway hear the same in the daily weather report: Rain. Great! I will get wet if I don’t take my umbrella or my rain jacket, again! Therefore, they check their weather apps and search for exactly that minute when rain should not occur, only to leave the annoying umbrella at home… Often they become very disappointed and arrive soaked at their destination. Unlike temperature or wind speed forecast, prediction of rainfall is still connected with huge uncertainties. Two instruments measuring the rain amount with two different methods, mounted side by side, often have differences of 50 % and more. It is almost impossible for weather models to predict flash-floods, heavy rainfall in a short period of time, such as the flash-flood in Tenerife on 19th October 2014, where five people died. Through research and innovation, meteorologists have developed instruments with higher resolution and precision. They can distinguish several rain types and characterize rain in order to improve the rain forecast, and therefore, weather apps. Just as each person is different, each raindrop is unique. There are different mechanisms for rain formation and each rain drop has a certain size and a certain fall velocity. Large raindrops fall fast, whereas small raindrops fall slowly. 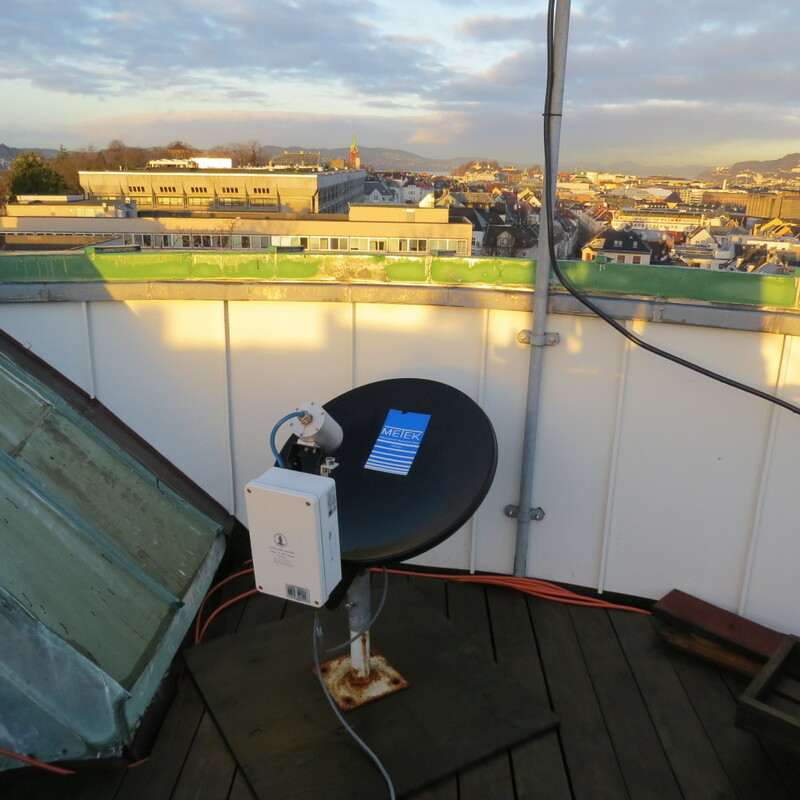 One of the latest inventions is the Micro Rain Radar (MRR) which is in our case on the rooftop of the Geophysical Institute in Bergen, Norway and is shown in the picture. Until now, a unique MRR dataset of about 5 years is available. The MRR is small in size – about 60 cm in diameter – but allows huge research possibilities: It measures the rain rate, the size of the rain drops, the fall velocities and the amount of water in a certain amount of air. All quantities can be used to characterize rain in different ways. 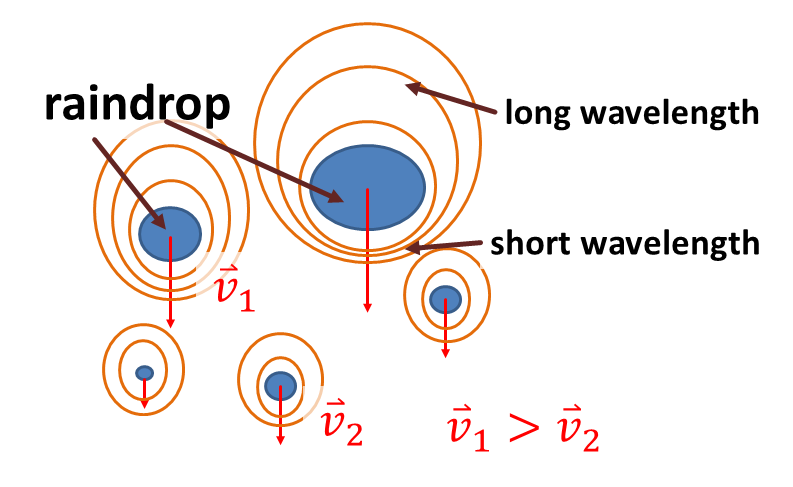 The MRR sends out waves of a certain wavelength and after a short time it receives the backscattered signal of the raindrops, but with a slightly different wavelength due to the physical principle named the Doppler Effect. Observation showed that the higher the fall speed of the droplets, the shorter the received wavelength. The MRR processes these wavelength differences between the transmitted and received signal for millions of raindrops 25 times a minute. The knowledge of the correct rain type will support operational weather radars to quantitatively estimate the rain amount in a region. Thus, the water budget can be calculated more accurately; and not only companies providing hydroelectric power plants will profit, but also people who constantly suffer from floods. Especially flash-flood forecasting will become more precise and lives can be saved. 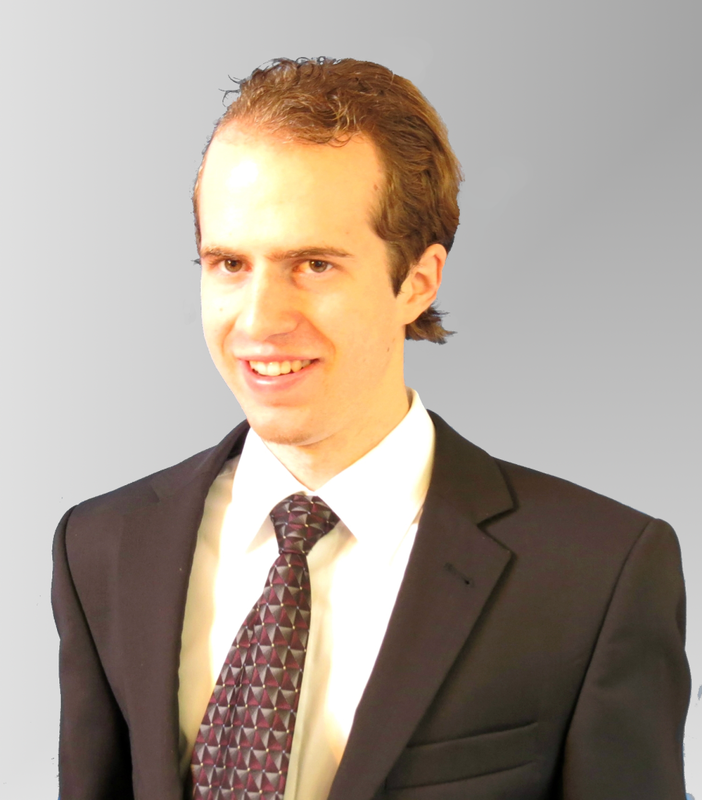 Lucas writes currently his master's thesis at the University of Bergen (UiB), Norway in collaboration with the Ludwig Maximilians University of Munich, Germany under supervision of Prof. Joachim Reuder (UiB) and Dr. Martin Hagen (German Aerospace Center, DLR). His focus lies on weather radar technology and the development of new methods to increase the accuracy of rainfall measurements. Tagged flash-flood, Flood, Floods, hydroelectric, innovation, little things, Micro Rain Radar, MRR, suddenly occuring rain, umbrella, weather app. Thank you for providing an insight into your work/studies.